Ashtamudi Lake lovingly is called as Ashtamudi Kayal in the native language and it is the second largest wetland ecosystem in Kerala. The term Ashtamudi is derived from two Sanskrit words – Astha and Mudi which means Eight and Cone respectively, which literally means “Eight Coned.” The gorgeous Asthamudi Lake is beautifully endowed by the palm trees, however it owes lot to its topography blessed with the Kallada River and its very renowned three tributaries i.e. Kulathupuzha, Kalthuruthipuzha and Chenthurnipuzha. The fascinating lake being a confluence of these tributaries is rightly called the gateway to the Kerala Backwaters. The gorgeous lake is located in the district of Kola, in the state of Kerala in Southern India. Ashtamudi Lake is 16 km long and is the second largest lake in Kerala which finds its way into the sea along the Neendakara estuary. Kollam or Qulion along with the picturesque Ashtamudi Lake’s importance dates back to the days of Phoenicians and the Romans. Ibn Batuta, in his 24 year stopover during the 14th century is reported o have mentioned around the Qulion Port as one of the five ports for Chinese trade. This gorgeous lake has as well become a hot spot for Ayurvedic and holistic treatments. You can also see numerous hotels and resorts around the lake which offer Ayurvedic massages and other treatments. This picturesque lake is shaped like a palm tree and is mostly referred as an octopus by the locals. The shore of this lake is beautifully endowed by the coconut grooves which as well form a picturesque view of the exotic lake. Ashtamudi is one of the gateways to the backwaters of Kerala. 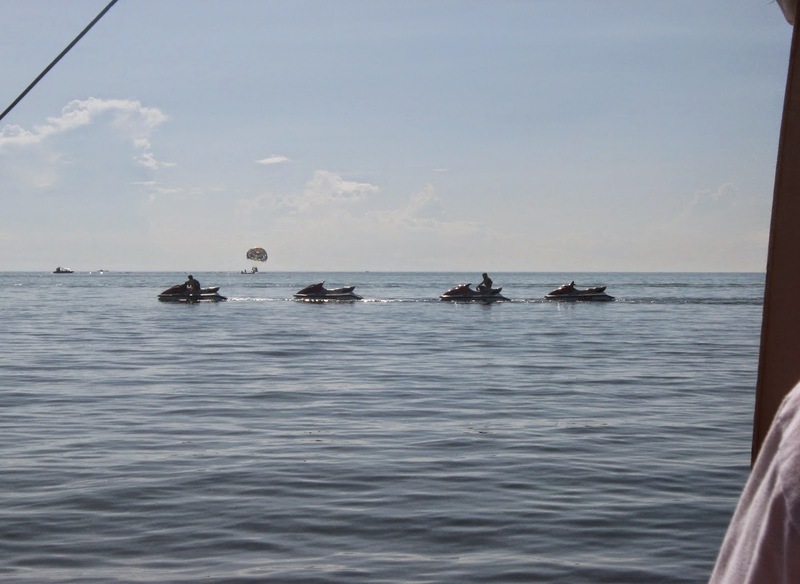 Along with Kochi and Vembanad, Ashtamudi is one of the prime centers of backwater tourism. Palm belted lagoons, acclaim alarming wind, houseboats acceptable with the accepted Ashtamudi offers mesmerizing memories to last forever. Numerous fishermen casting Chinese Fishing Nets for a catch, the swaying coconut palm trees, the picturesque red sun setting in the other end of the lake and the exotic water birds in the lake etc are some among the charming scenes which the tourists can enjoy here while boating or cruising on the houseboats. Boat trips are consistently enjoyable. But they become more pleasure-generating if the boating is done forth the backwaters of Ashtamudi Lake as they abide the most important means to behold and adore the adorableness of the backwaters lined with coconut palms. 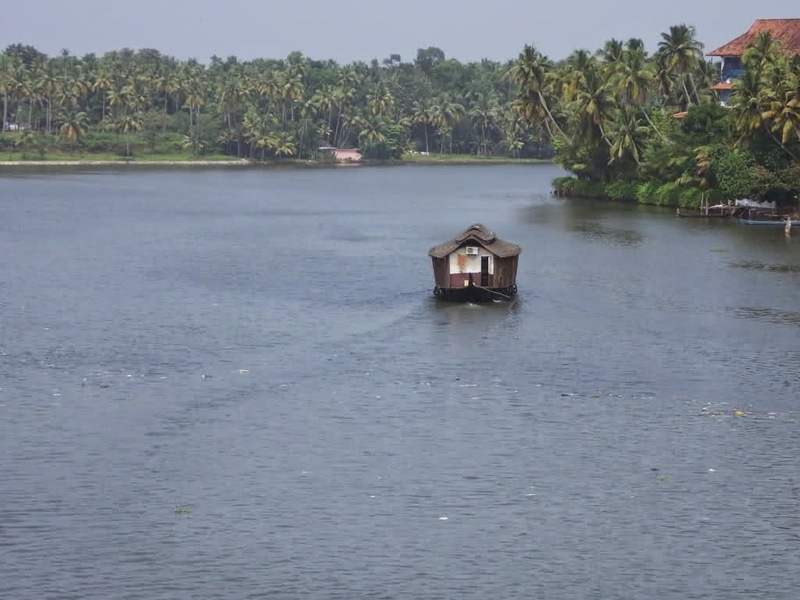 Cruising on the houseboat over the tranquil lake of Asthamudi is one of the dreams come true experience as it allures all the tourists and offer them a peaceful cruise and it is also the best way to enjoy the rustic charm of Kerala. Well the pleasure does not end here apart from cruising and boating there are numerous hotels and resorts on the bank of the lake, where one can enjoy the rejuvenating Ayurveda experience. Kerala experience summer from March to May with the temperature ranges between 25°C to 32°C. Like the rest part of Kerala, Asthamudi as well receive rainfall twice every year viz, Monsoon (June to September) and Retreating Monsoon (October to November). Kerala experiences wither from November to February where the temperatures drops and it ranges from 25°C to 18°c, making it the most ideal time to visit. There are abundant hotels, resorts and home stays which will absolutely meet all your needs and standards. Abundant hotels and resorts are beautifully surrounded by the beach which offers pleasing stay, lip smacking cuisine along with the Ayurveda Spa facilities which rejuvenate the visitors and keep them fresh. Kalari Rasayana Venad is an Ayurveda resort along the Kollam Lake and if Ayurveda wellness is your dream than this is the abode you must venture on your trip to Ashtamudi Lake. Hotel Raviz Kola, Aadithya Resorts- Lakeside absolutely are some of the nearby hotels and resorts for you blissful stay.